If you are new to the parish, please introduce yourself after Mass to Fr. Reilly or Fr. Chris. We hope that you will take an active part in the life of our parish. Please contact the parish office to register as members. 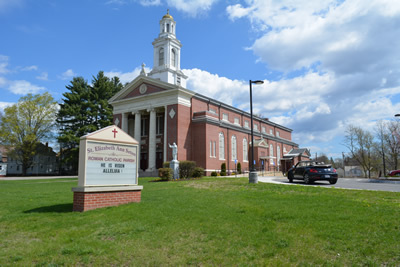 Current Parishioners: Please call the parish office with any changes to your information, e.g. address, phone number, members of your household, etc. The restroom is located next to the "Cry Room" and can be reached by exiting the Church through the door that is closest to the baptismal font.